New Delhi, Oct 12 (IANS) Dismissing the ruling BJPs latest bid to defend the Rafale deal, the Congress on Friday demanded that the Modi government give "factual answers about irregularities in the deal instead of indulging in whataboutery". Soon after Railways Minister Piyush Goyal accused Congress President Rahul Gandhi of "spreading falsehood and lies" over the deal with France to buy 36 Rafale fighter jets, the party questioned why the NDA government was shying away from a Joint Parliamentary Committee (JPC) probe. The Congress also sought answers over the issues of "corruption and irregularities" in the deal announced by Prime Minister Narendra Modi in April 2015. "One after the other, BJP ministers keep coming up with different justifications without answering any of the basic questions that the Congress has been raising since the deal was announced. Instead of giving factual answers to our questions they indulge in whataboutery," Congress spokesperson Pawan Khera told the media here. "The country doesn't want adjectives for Rahul Gandhi or what his father did or his mother did. The country wants answers on the Rafale deal, which the BJP and the government has been unable to give," said Khera. Ridiculing Gandhi's Thursday charges of corruption against Modi, Goyal called him a "serial liar". The Union Minister's remarks came in the wake of Rafale-maker Dassault Aviation's CEO Eric Trappier saying that the company's joint venture with Reliance represents only about 10 per cent of the offset obligations in the jets deal and it was in negotiations with about a 100 Indian companies. Khera said that the BJP was trying to "defend the indefensible" and reiterated its demand for a JPC probe. "They keep coming with one or the other justification. Every time, their lies are exposed. They continue to hide behind the confidentiality clause when the fact is that both Dassault and Reliance, in their annual reports, have revealed the price of the jets. "They denied any hand in the ouster of Hindustan Aeronautics Ltd (HAL) from the deal but were exposed again when Trappier said that their agreement with HAL was on track. Further, HAL ex-chief T.S. Raju too said that the Indian aircraft maker had entered into a work-share agreement with Dassault," said Khera. "Why does the government shiver over a JPC. Let them submit to it all the questions which we and the country have been raising. Their lies have been exposed every time but they continue to refuse to give factual answers to any of the questions raised," added Khera. The Congress has twice petitioned the Comptroller and Auditor General of India for a special and forensics audit and also moved the Central Vigilance Commission seeking a probe and seizure of deal documents. 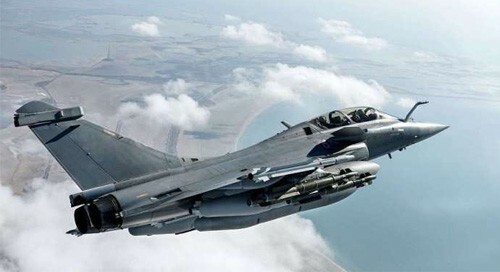 Besides questioning the "inflated" price of the jets, the Congress has also been targeting the Centre over the propriety of a newly-founded private company getting the Rs 30,000-crore Rafale offset contract at the cost of the state-owned HAL. Following fresh revelations in the French media over the choice of offset partner, Gandhi on Thursday called Modi "corrupt" and asked him to quit if he failed to respond to the charges.